Sri Nageshwarnath is located by Dwarka in Gujarati, India. In ancient times there was a she-demon named Daruka and her husband Daruk who had collected a huge army of demons and harassed all the innocent people who preformed religious sacrifices. Goddess Parvati had appointed Daruka as the caretaker of the forest of all good things. Daruka and her husband Daruk both stayed there and terrified people. Maharishi Aurva for the security of the refugees cursed the demons that if they would harass people or destroy religious sacrifice they would instantly die. When the gods came to know about this they attacked the demons. This caused anxiety in the demons. Seeing their state Daruka said because of the blessing of the Parvati I can take this forest whenever I want. He entered the sea. Now all the demons and creatures residing in the sea got harassed. Many boats loaded with people came. The demons caught hold of the people and put them in prison. Amongst the prisoners was a great devotee of Lord Shiva named Supriya. He advised all prisoners to recite the mantra "Om Namah Shivaya". When Daruk came to know about this he tried to kill Supriya. Supriya called out to Lord Shiva the Saviour. Instantly Lord Shiva appeared through a small hole and a beautiful temple with walls was formed. 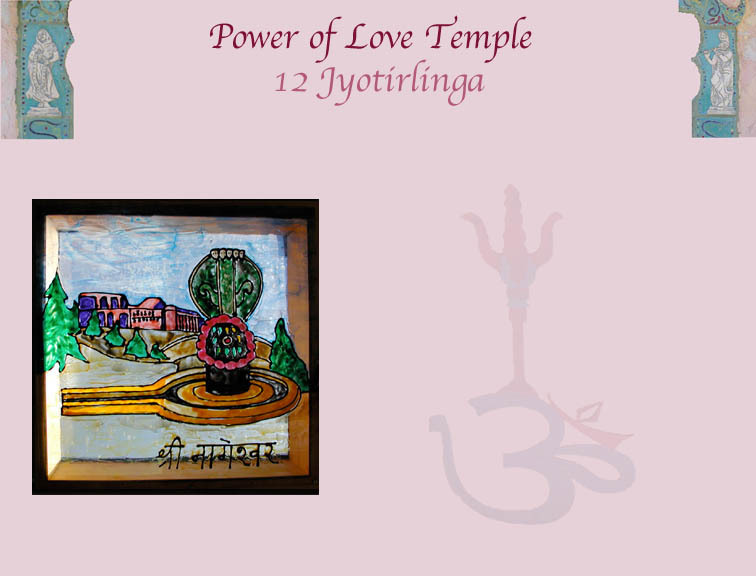 In the middle of the temple a lustrous Jyotirlinga was installed. Lord Shiva destroyed all the demons and saved the life of Supriya.